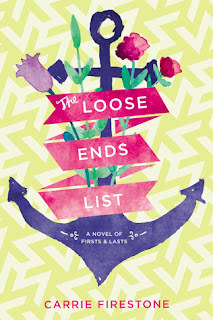 Maddie has just graduated from high school and she plans on spending the summer before college ticking items off her bucket list- or her "loose ends" list, as she likes to call it- with her best friends. Her socialite grandmother, who's young-at-heart and fiercely passionate- calls a suspicious family gathering at her town house one day which changes the way Maddie looks at life forever. Her amazing grandmother has been diagnosed with cancer- and she doesn't want to be treated for it! To spend as much time with her family as she can, the O'Niell Matriarch books an international family cruise. The up-side? Great food, interesting people, amazing destinations. The down side? Grandma O'Niell may not come home at the end of the trip. The characters in this novel were all painted differently. Each one of the many family members struggled to accept the loss of their favourite relative, yet saluted her courage even in dire circumstances. Their varied methods of dealing with the dismembering of their family created a great insight into true family life. I've often found that books dealing with grief or loss center their focus on one character- possibly two. This paints a very detailed picture of how one person might deal with loss but unfortunately never allows the reader to imagine the life of the rest of the family. Firestone wrote with such flair and added so much integrity to her characters that the entire novel read like a revelation. I absolutely loved this book! It was such a refreshing read- the characters were unique, the family was brutally honest with each other- and amidst the constant melancholy, there was always a touch of humour in the writing. I came across this book while scrolling through some Top Ten Tuesday lists and was immediately drawn to it because of its cover. Yes, I understand, we shouldn't judge a book by its cover. Yet covers play such an important role in attracting readers. 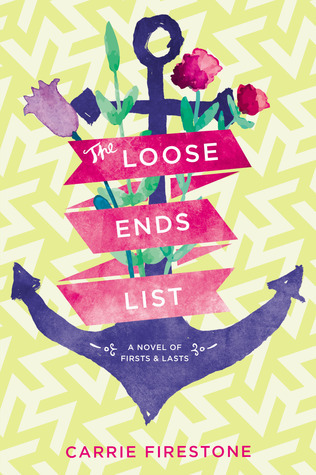 This book looks like the perfect spring/summer read- and it was! It's a great way to live vicariously and travel around the world with a slightly eccentric family while holed up in your own room. It's definitely a read for all those lovers of YA Contemporary- and for all of you who can't travel that much this summer! Teens, this book is screaming out to you, so I hope you pick it up soon! I want to go on an International Cruise as well!